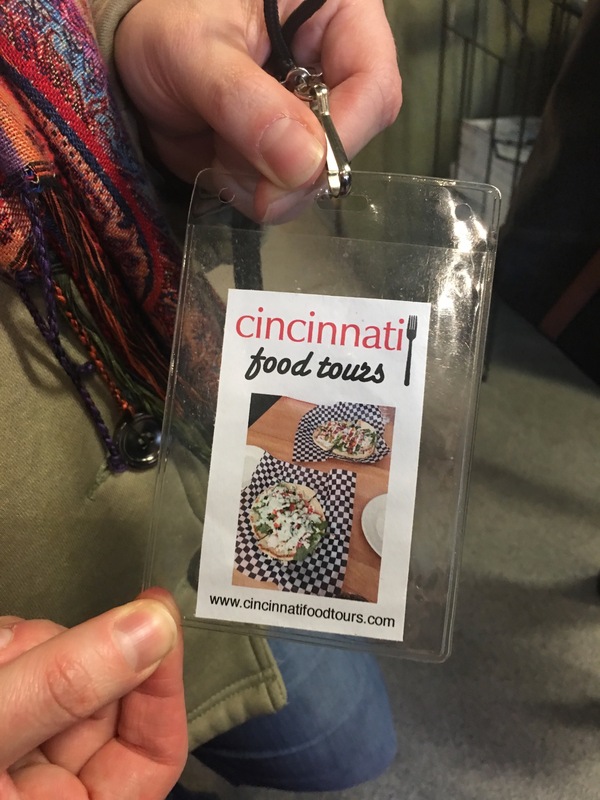 Cincy Food Tours (Findlay Market) – Go There. Try That. As my tagline states, I prefer experiences over things. I’d always pick spending time with someone, going on an adventure, or trying something new rather than getting stuff. Luckily, I have friends who dig my love of adventure. My dear friend Korie, for her birthday, received one of those experiences (as she pretty much always does). This year, I got us tickets for a Cincinnati Food Tour at Findlay Market. I love being a tourist in my own city!! 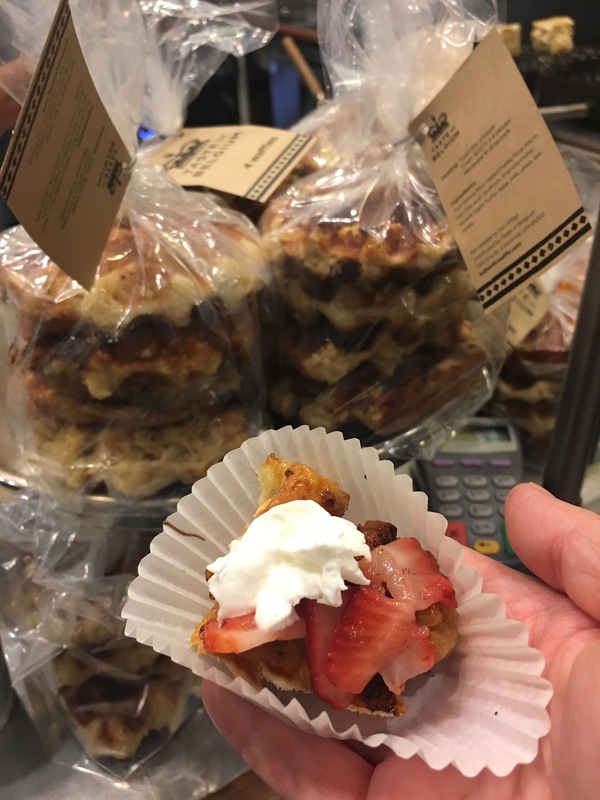 Cincinnati Food Tours offer several local walking tours in Over-the-Rhine, Walnut Hills, Downtown, and Findlay Market. One of the newest tours features a ride on the Streetcar. (Guys! I haven’t ridden it yet!) Tours range from $20.00 to $50.00 and most of that money goes to the local chefs and restaurants highlighted on the tour. Because my friend and I love food, love the city of Cincinnati, and love history, I had a hard time picking which tour we should take. Basically, each one sounds amazing! 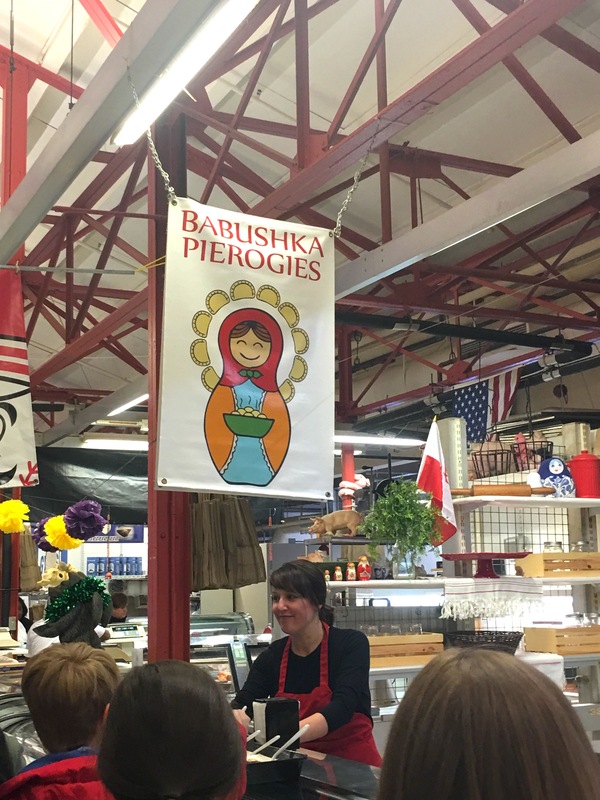 Barb, the founder of Cincinnati Food Tours, suggested we begin with the Findlay Market tour. Good choice. 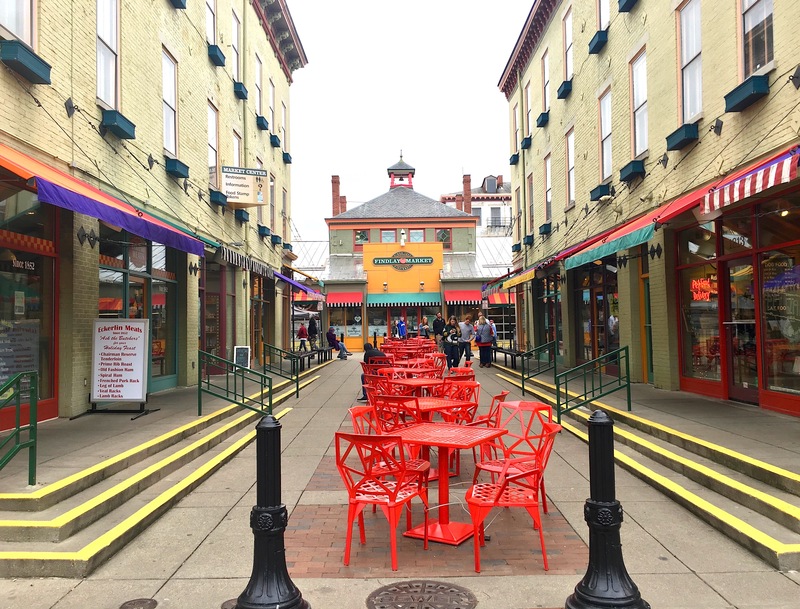 During the tour, I learned that Findlay Market is the oldest continuously running outdoor market in Ohio. I had no idea! The market still contains a few original architectural details such as the unique cast and wrought iron frame. 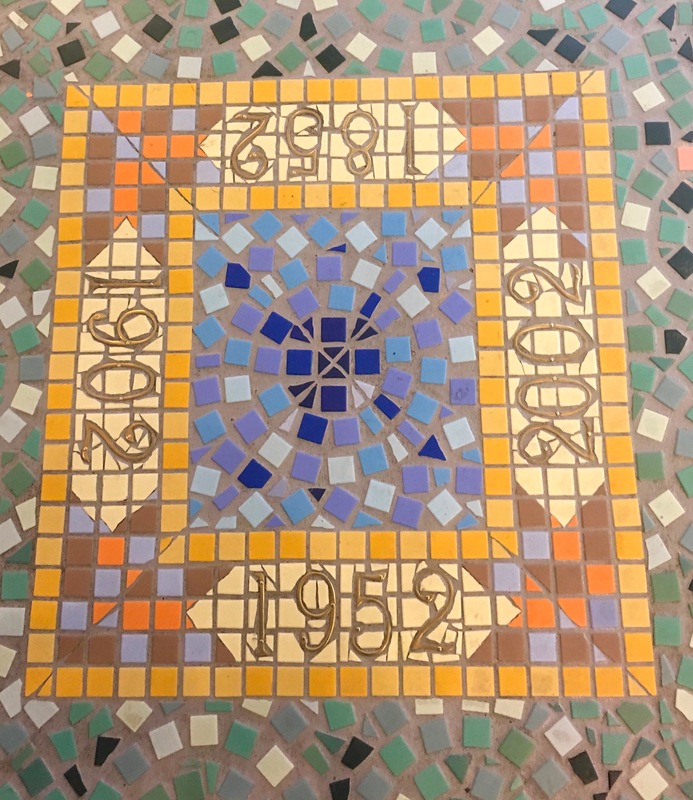 Findlay Market, full of fresh fruit and produce, local butchers, restaurants, and locally made wares, was placed on the National Register of Historic Places in 1972. To learn more, and you should, you’ll have to take the tour! (wink wink) It’s worth it! Black rice salad from Fresh Table. 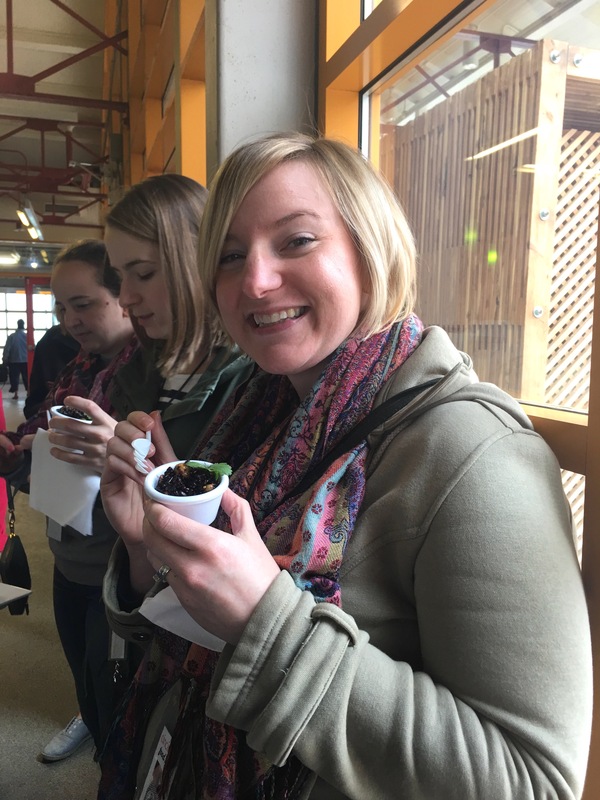 During the tour, we were able to taste food from various vendors and to talk to the faces behind that great food. 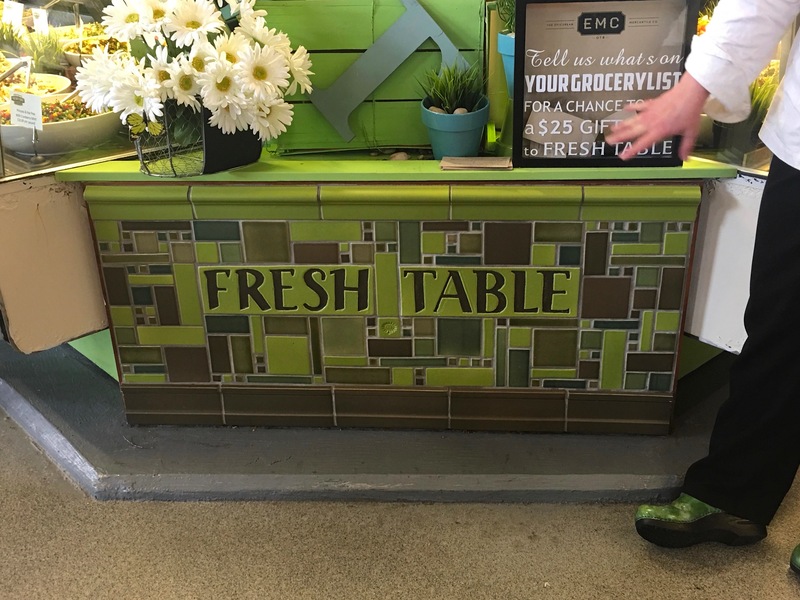 We tried black bean salad (Fresh Table), Belgian waffles (Taste of Belgium), walnut date cookies (Dean’s), falafel sandwiches (Dean’s), pierogies (Babushka’s), and specialty tea (Churchill’s). Every single thing was delicious. What’s even better is that many of those samples are not what I would order on my own. I don’t like dates and I don’t like nuts. I just don’t. But I’m a “when in Rome kind of girl” and these date cookies were freaking phenomenal. No joke. Plus, no two tours are the same because the “menu” changes as different vendors are highlighted. Score! Delicious Belgian Waffle from Taste of Belgium. Many of the restaurants and vendors stationed at Findlay Market were born of necessity and nostalgia. For example, Dean, the owner of Dean’s Mediterranean Imports, grew up in Lebanon and wanted to bring the delicious foods and spices of his childhood to Cincinnati. The food is authentic. Come and shop . . . come and eat. Findlay has indoor and outdoor seating. Marking historic moments in the Market’s history. Our tour ended with a bang. I’m tellin’ ya, something crazy happens to us wherever we go! At our last stop, taste testing at Market Wines, we met the lovely lady in the picture below. Korie’s face (in the middle) captures it perfectly. Let’s just say our new friend was definitely enjoying the merchandise. We ended this birthday experience with full bellies, a new appreciation of our city, and most importantly, lots of laughs. Not too shabby. 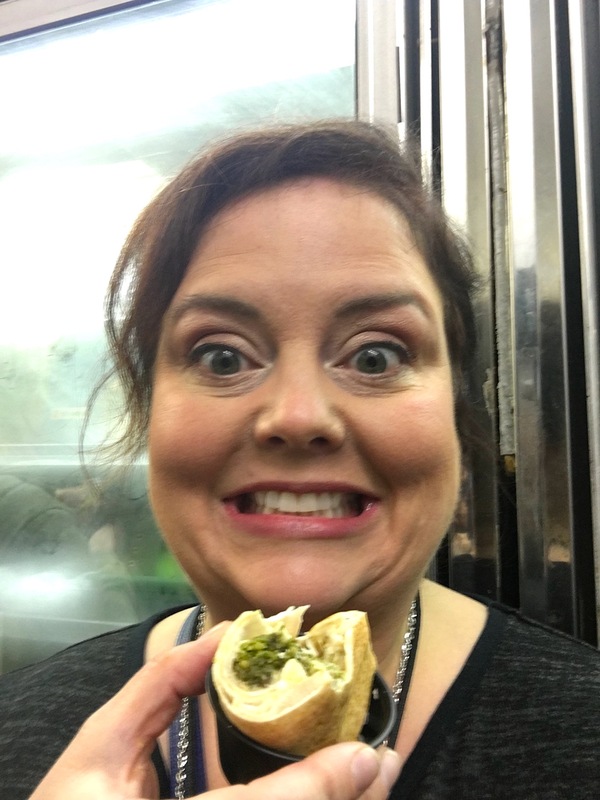 I highly recommend a Cincinnati Food Tour; this is the perfect birthday gift, shower activity, date night, or friend outing. I think my next tour will be Wandering Walnut Hills (sooo many new restaurants there)! 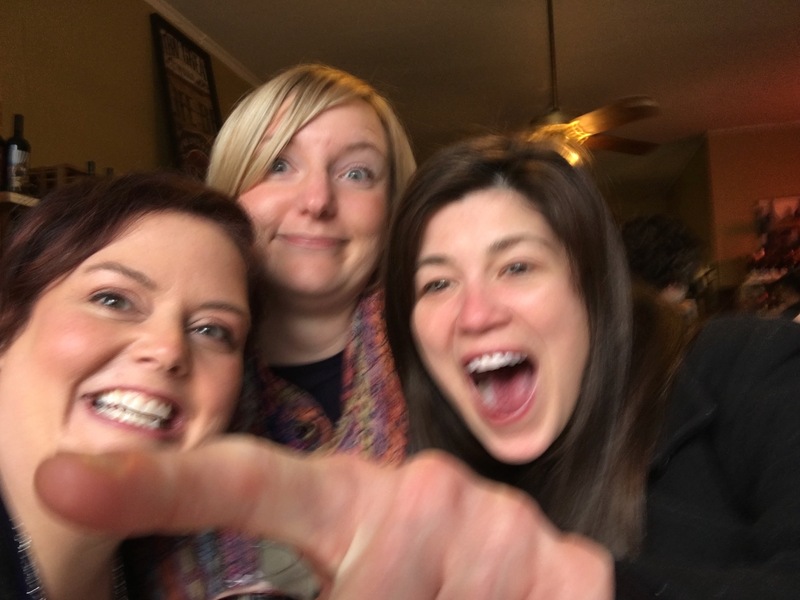 GO THERE (Cincinnati Food Tours)! TRY THAT ( Taste the World at Findlay Market)! Soooooooo much fun!!!!! And I’m so glad you included the last pic! Ha! It’s good to know about this, Mindy. Nice Blog!! Very attractive and informative.